On 25th January 2019, the government temporarily called off the partial government shutdown, after the US President Donald Trump and Congressional leaders agreed to a stop-gap spending bill. In the normal budget process in the United States, Congress appropriates funds by September 30 of every year for the following fiscal year to various federal department and agencies in the country by passing the appropriation bill. These government agencies are dependent on the annual funding approved by the Congress and as per the procedural requirements, they need to submit their requests. Once the requests are submitted, Congress is required to pass them, following which the US President signs the budget legislation for the next fiscal year. If it does not happen, then a continuing funding resolution or a temporary funding measure is enacted. If the Congress can’t even agree on that, then the government shutdown takes place. On December 22, 2018, the US government announced a partial government shutdown, which happened due to disagreement with the US President over the funding for the wall between Mexico and US to control the flows of immigrants. On 25th January 2019, the government temporarily called off the partial government shutdown, after the US President Donald Trump and Congressional leaders agreed to a stop-gap spending bill. This was the third government shutdown in 2018 after a 3-day shutdown on 19th January 2018 and one-day shutdown on 9th February 2018. The functions of the government have been resumed temporarily by passing a bill to fund the federal agencies till 15th February. However, the possibility of another shutdown still looms if the Congress and the US president do not reach a deal over the funding for the wall at the Mexico border. 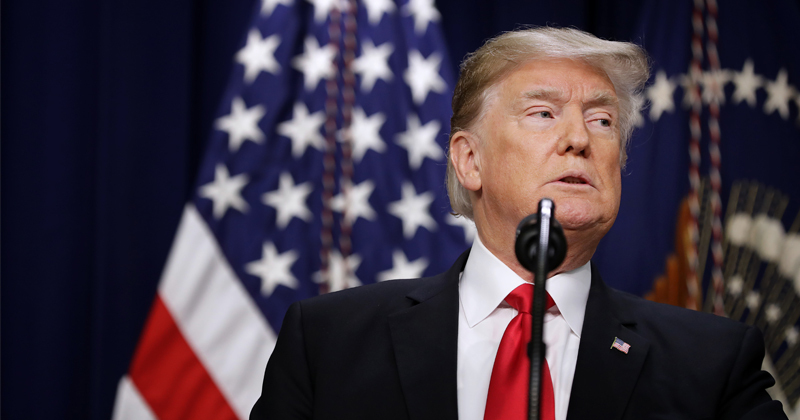 On January 4, Trump reportedly said that he would not clear a budget without a $5.7 billion wall on the border with Mexico since it is a key piece of Trump’s immigration policy. As a result of this shutdown, nine executive departments with around 800,000 employees had to shut down partially or in full, which affected nearly one-fourth of government activities and caused employee furloughs. Also, over 380,000 federal workers were put on furlough, and another 420,000 employees were forced to work without pay during this period. How does it affect the Indian economy? Immediately after the shutdown, the Indian rupee gained strength marginally, helped by the weakness in the US currency. However, as the dollar recovered, the rupee too ranged between Rs 69-71 per dollar, it added. “Nevertheless, the IT sector, which gathers maximum revenue by way of outsourcing to the US companies, might feel some pressure in the coming months with either delayed payments or deferment in the new offshore projects,” it added. Besides, the exports to the US may also get affected with dried up demand from the US consumers, impacting trade deficit.